The Hormel Institute is a world-recognized leader in the scientific field showing that dietary factors prevent and control cancer development. We are accelerating cancer research discoveries to achieve our mission: Improve your health and well-being. 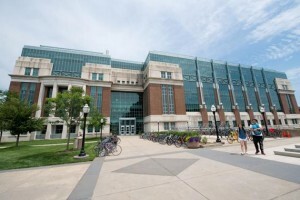 The Hormel Institute enjoys partnerships that enhance its cutting edge research. By combining resources and strengths with giants like Mayo Clinic, IBM and M.D. Anderson, our accelerated research is leading to the prevention and control of cancer and other chronic diseases. This show is always well attended and with the completion of it’s new addition promises to be better than ever.